« Episode 18: Game Swap’s Arcade! Fabric: Mystery content fabric from stash. Unsure of original origins. Notions: Bias tape from stash. Unsure of original origins. Wear again? Hopefully I will get a lot of wear out of this during the summer months. 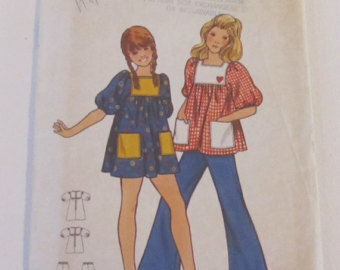 Total Cost: Unsure as I am not sure when or where I got the fabrics and bias tape. Mother’s Day was last Sunday. How was yours? I celebrated by not bothering my mother. While she appreciates it when her family shows their love for her, she does not like it when we try to do it at the same time as everyone else in the area. So, sometime in the future, I will take her out for a nice meal that she can enjoy without having to plan a menu, shop for groceries, or clean up a kitchen afterwards. My mom is the one who first set me on my path of learning how to sew and how to create my own clothes. It was her goal to make sure that I would be able to at least do basic mending. She has sewn for many years and while I was growing up, many of my clothes were ones that she made for me. This is a random pattern that I found by doing an image search. 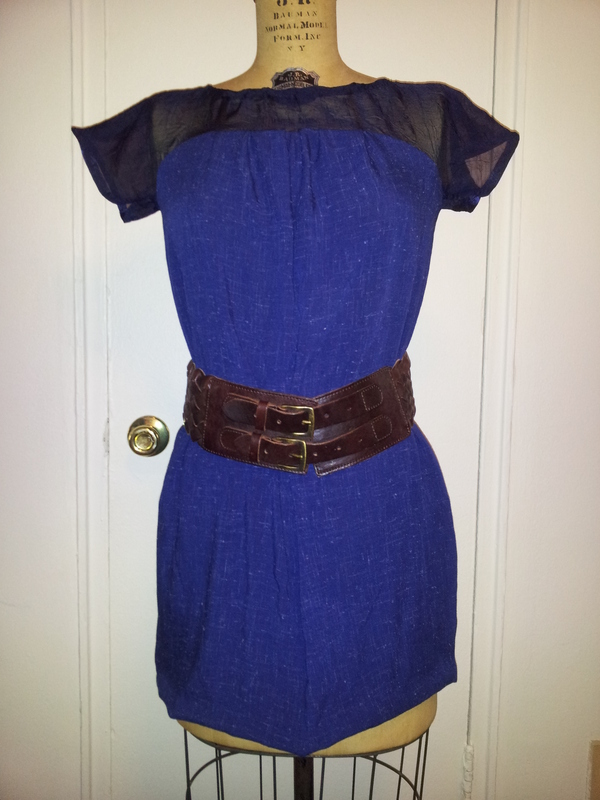 This one shows the yoke front, basic tunic shape and a puffy sleeve. While I can’t confirm that this is a pattern that my mother would have used, it is similar to something that she would have made for me. I would have worn it while climbing trees or digging in the dirt. I was never really that much of a girly girl and to this day I sometimes struggle with my tomboy tendencies. I also blame my numerous Converse collection of my tomboy need for the most comfortable thing warring with my girly side for needing all the cute shoes. All the cute shoes!! Ahem. Anyway. I am trying to use up the fabric that I have in my stash. 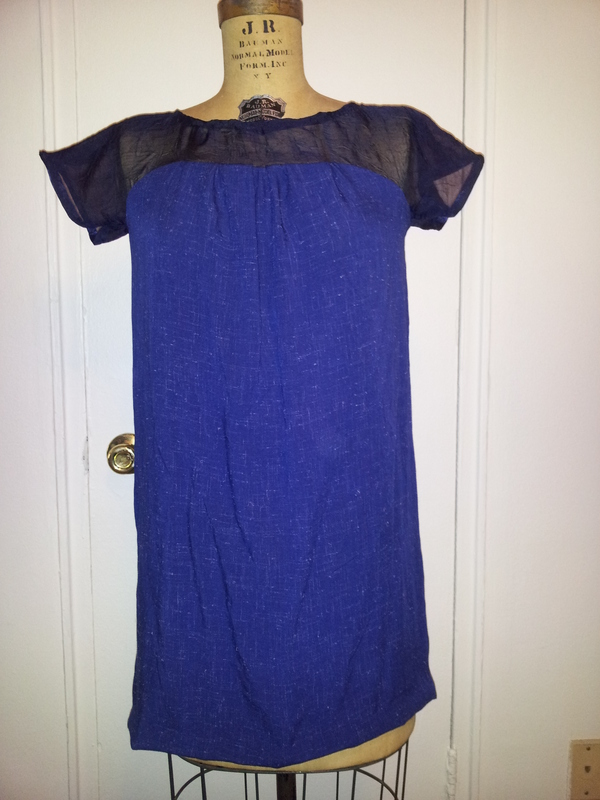 I did not have enough of the fabric to make a tunic length shirt and have a front and back yoke. 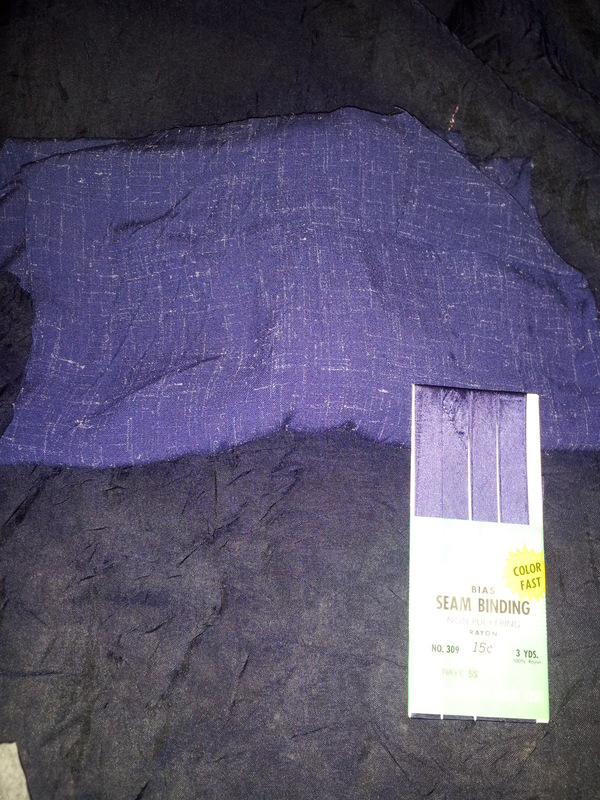 So I poked around for a bit and found this navy blue fabric that is a much darker shade of navy than I remember it being. Here is a before picture of all of the components. I was checking if the colors worked together. In the spirit of Mother’s day, I decided to go ahead and combine the two fabrics. My mom has said on many different occasions something along the lines of, “just because the pattern says to do it one way, it doesn’t mean that you have to do things that way.” It is a good policy to remember in the creative world, even if it makes the possibilities endless. I had some trouble when I was sewing the top together. 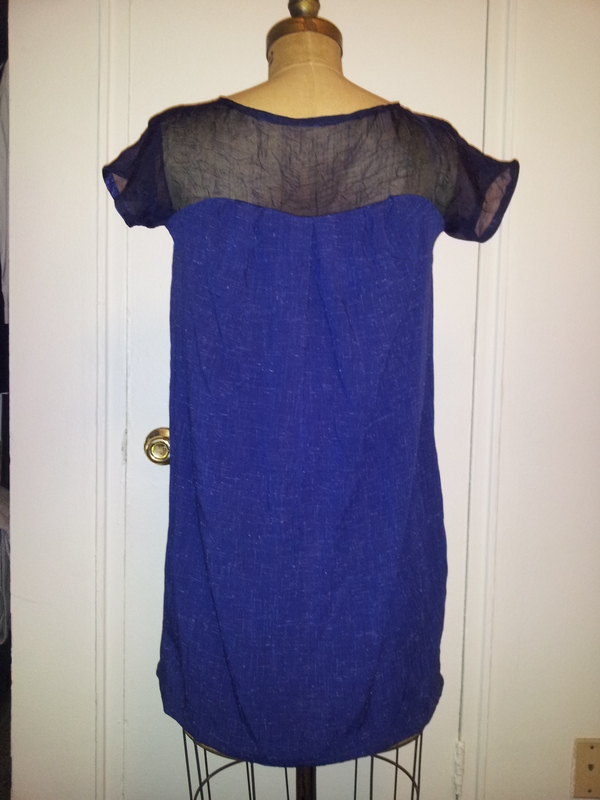 The sheer fabric is prone to fraying, and the other fabric seems to want to fray as well, just not as much as the sheer. I had picked up this pattern because it seemed like a simple top that would be a good wardrobe basic. I forgot that pattern instructions are written for the level that the manufacturer assumes that the person sewing is at or near. 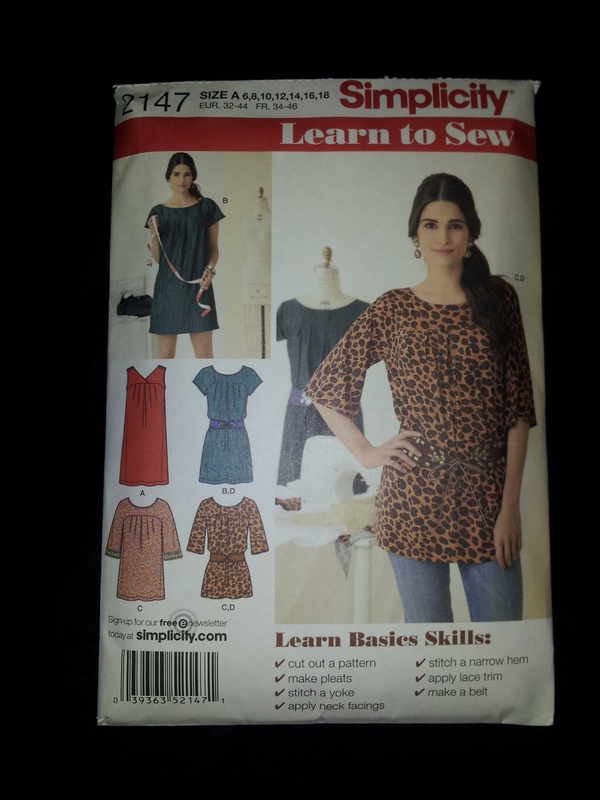 This is a basic pattern that is meant to teach, well, basics to someone who is newer to sewing. I felt like certain things were glossed over while other things were repeated needlessly. It was definitely a good practice pattern for me as the fabric forced me to slow down and make sure I paid attention to details that I may not have otherwise paid attention to at all.